We understand how frustrating this can be, which is why there are some things to look out for from the agencies that book your business stays. We provide carefully-crafted invoicing as a part of our accommodation booking service – to ensure that all the necessary information you need is included in one easy-to-process document. Each invoice will be formatted with the correct address, company and contact details, as well as the right VAT rates and totals so you can claim back every penny that you’re entitled to. As you’re researching booking agents, you may come across some that are not based in the UK. You should be aware that if you use their services and pay online, you cannot claim the VAT. While making sure all expenses are claimed is essential, it’s just as important not to misclaim. 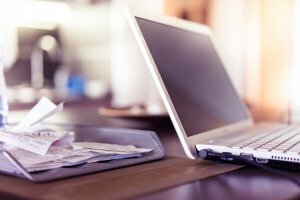 Managing expenses is a valued part of our service. We know this as one of our largest clients began working with us for this reason; we’ve helped them to save thousands of pounds in VAT that was otherwise being lost! If you have any questions about our accommodation service and how we help to streamline your post-business stay admin, get in touch. Our Accommodation Advisors are ready, waiting and more than happy to help.